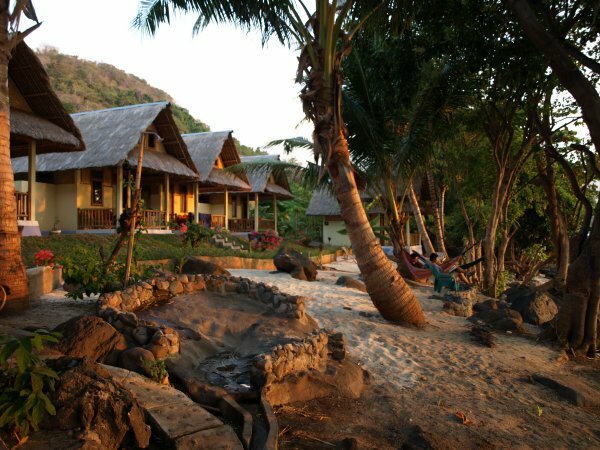 We are a Swiss-Indonesian Dive Resort located directly on the idyllic beach of Watumita in the Wairterang Bay, about 30 km east of Maumere (Island Flores), easily reached by car or bus. Ankermi is the perfect place to relax and find peace amidst nature, enjoy the impressive scenery or explore life underwater. Our 8 bungalows overlook beautiful Maumere Bay with its calm waters and islands. Sit on the veranda outside the bungalows and read a book, drink your afternoon tea or watch the sun setting over the bay. 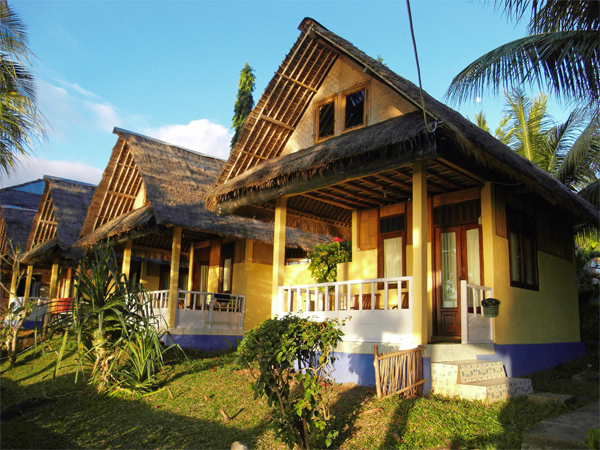 All bungalows are built from traditional materials and design and have room for 2 persons plus a child (which can sleep on the upper floor under the roof), with western and Indonesian style toilets and cold showers. All four-poster beds have mosquito nets and fans are provided in all bungalows. Our restaurant offers a choice of meals for lunch and dinner. Our menu includes Indonesian and Western cooking. We think of our place as a "home far from home", a place where you can take a break from your travels and just relax. 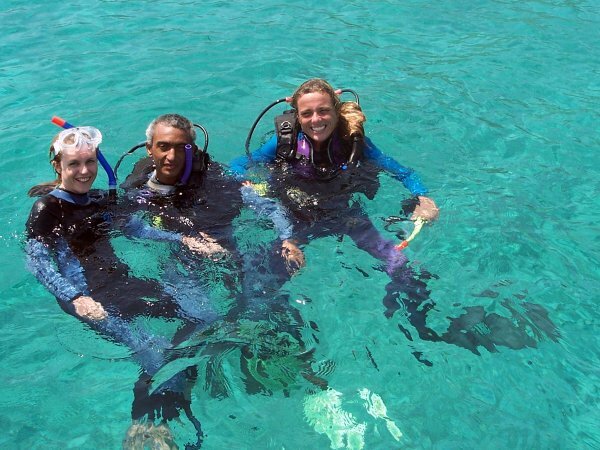 Let yourself be spoiled and cared for in the family atmosphere of the resort and on-site dive center (Happy Dive). Enjoy your stay here and become a member of the "Ankermi-family". And then there is the great diving, of course! Maumere bay offers incredibly diverse diving. The islands Besar and Babi are surrounded by large corals reefs and are easily reached by boat from the Ankermi Happy Dive Resort. 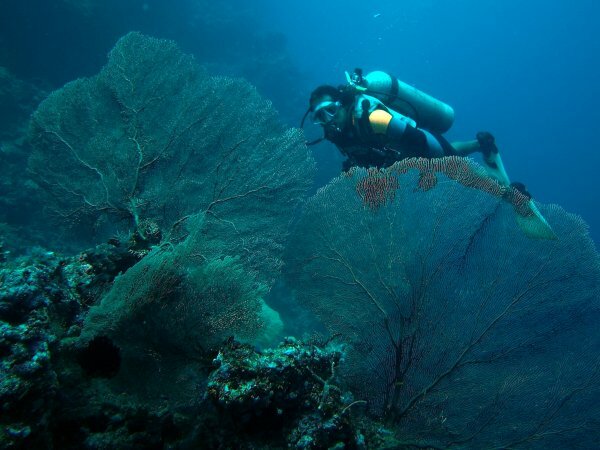 Here you will find beautiful underwater landscapes with gorgonian sea fans, hard and soft coral and large sponges. 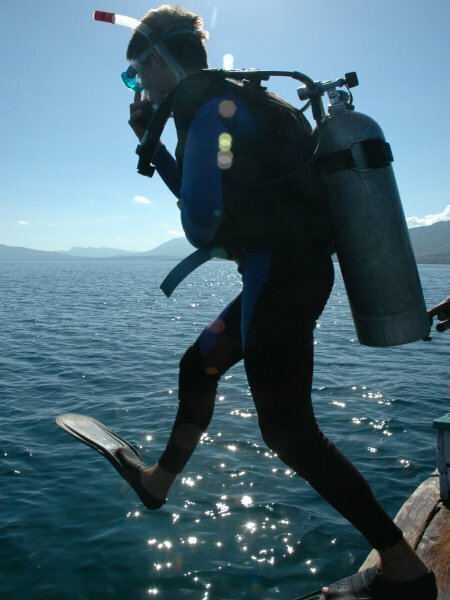 The dive sites are mostly walls and steep drop offs with moderate currents so you can make a nice drift dive. We also do some challenging dives, where the currents are stronger and big fishes like barracudas, jacks, tunas, eagle rays and sharks show up. 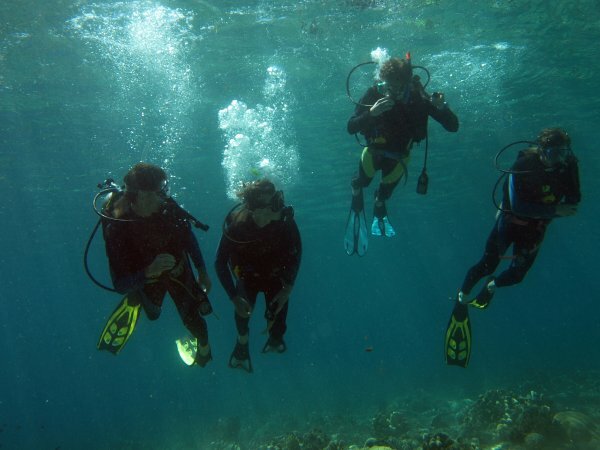 There are some good sites where you can snorkel, always accompanied by our boat. You dive in a small group - not more than 6 divers but more likely less, with one of us (Kermi or Claudia) as a dive guide. 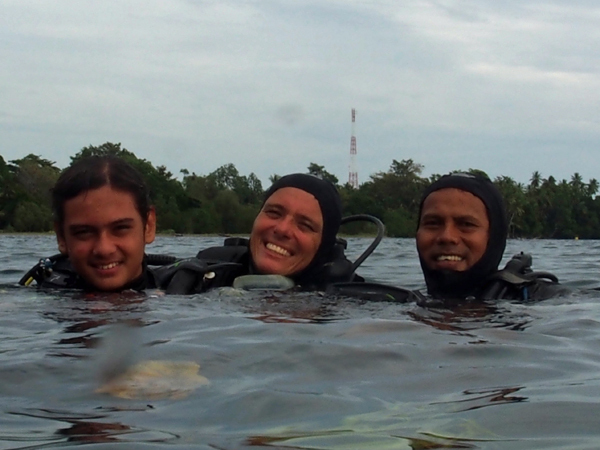 Claudia is a PADI OWSI Instructor and Kermi a PADI Divemaster, also called “eagle eyed” Kermi because he finds even the smallest critters. Starting from Ankermis Resort we also do a lot of muck diving, all dive sites are just around the corner and a maximum of 10 minutes away with our boat. Our muck is really good!! 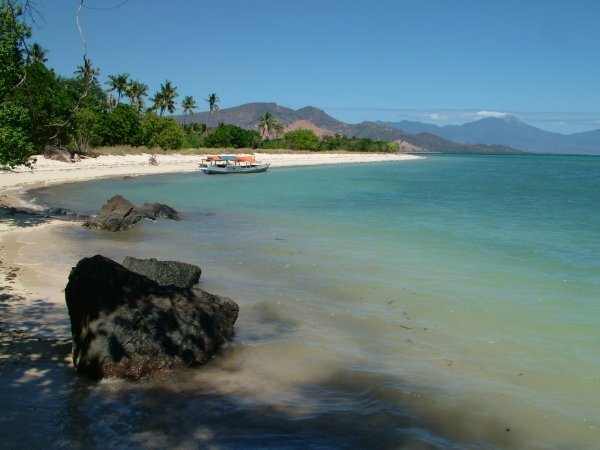 Mostly gentle sandy slopes with a few coral heads and sponges and an incredible variety of unusual critters. During the day you might find frogfishes, rare scorpionfishes, mimic octopus and wunderpus, nudibranchs, mandarin fishes, mantis shrimps, commensial shrimps and crabs, seahorses, flying gurnards, stonefishes and a lot more. Perfect for macro photography! A large World War II wreck lies about 300m from Ankermi Happy Dive Resort in diveable depths. 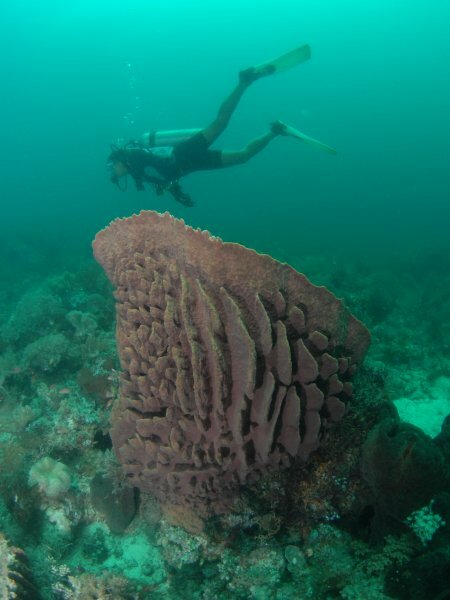 It attracts a lot of fish, groupers, mackerels and sweetlips and is nicely covered with sponges and small corals. Let's get into the water! Ankermi Resort exists since nearly 20 years, so many guests know us from Moni or from Wairterang and we hope to see you all again in our new resort at Watumita Beach (built in 2007, just 2km from the old Ankermi resort)! 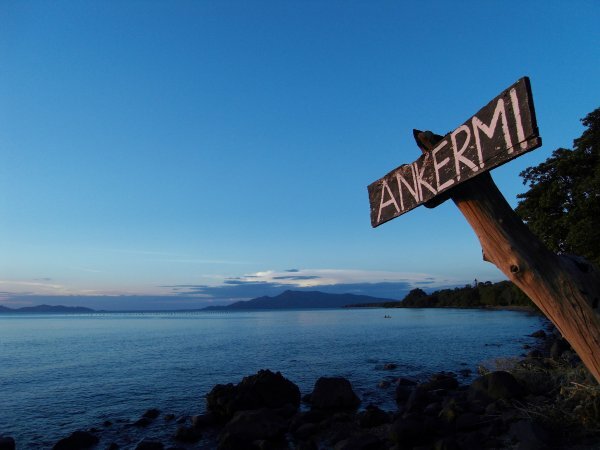 Ankermi was founded by Kermi (diver, cook and chef), and later on Claudia came along and stayed. As life and love goes, we got married and we have a son, Ardjuna. We are very happy, that we found Watumita, because we love to live in the area. We have made friends here over all those years, and enjoy a great neighborship. We have been part of traditional ceremonies and have noted the traditional rules and their influence in the daily life of the people here, we learned about traditional medicines and healers and we have witnessed sad and happy occasions. Life here has never been boring and we hope it will stay this way in the future. Through all the years of working with tourists we enjoyed our life and job and we met many nice, interesting people from all over the world. We won many new friends and have kept in touch with them over the years.